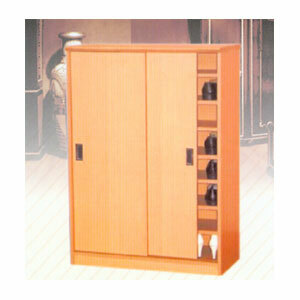 This Shoe Cabinet Features Sliding Doors and 7 Shelves Inside. See the chart below for the available colors. Holds approximately 32 pairs of shoes. Custom made, we can make it in any size. Local Delivery and store pick up only. 32 x 14 x 42 In. (H).